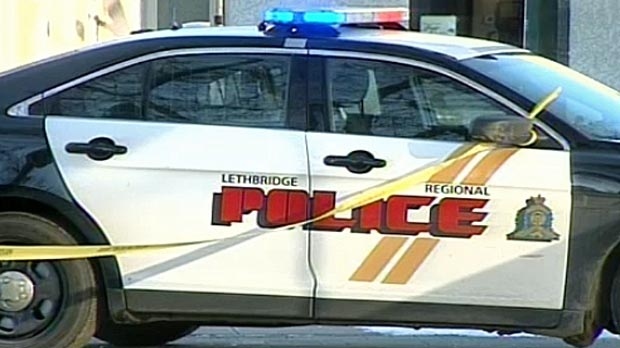 A male suspect is facing multiple charges in connection with a violent robbery at a Lethbridge liquor store that took place Thursday evening. Lethbridge police say that at about 7:10 p.m. on October 18, a man, wearing a bag over his head as a disguise, entered a liquor store in the 1200 block of 8 Avenue N. and threatened the clerk with a knife, demanding cash. The suspect forced the victim, a 51-year-old woman, against a wall and held a knife against her throat before escaping with an undisclosed amount of money. The clerk wasn't injured in the incident. The robbery was captured on surveillance video and police used it to track down the suspect a short time later. Kyle John Thurlow, 34, is charged with robbery, assault with a weapon, wearing a disguise during an indictable offence and uttering threats to cause death or bodily harm. Thurlow has been remanded into custody and is awaiting a hearing.